In the UK our heritage of historic buildings is recognised, protected and promoted but the living heritage associated with those buildings is not, only the dead fabric of the buildings as this case will show. 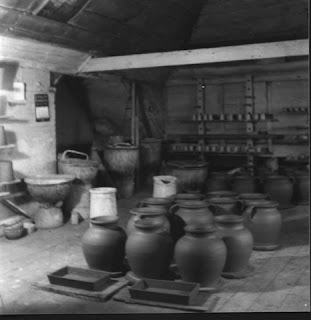 Pottery has been made at Farnham from Roman times and the 16th century saw large scale production for the London market. The current pottery was built in 1872 by Absalom Harris and five generations of the Harris family ran the pottery business until production finally ceased in 2000. The Pottery operated its own clay pits, had four working kilns and employed up to 30 men. The Queen Mother and Gertrude Jekyll were customers. 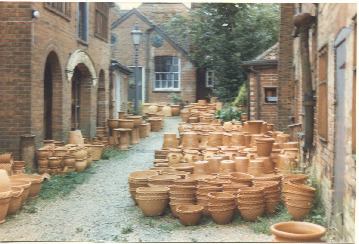 The pottery was purchased in 1998 by the Farnham Building Preservation Trust, it is grade II listed and considerable sums of public money have been spent on preserving the fabric of the buildings. So what happens next? 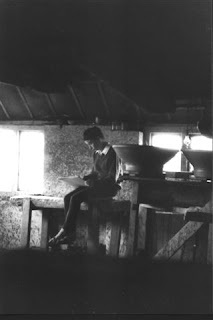 The buildings preservation trust and English Heritage have fulfilled their remits of protecting the fabric of the building and are now considering selling the buildings on which could mean development as retail premises or whatever the highest bidder chose to do. 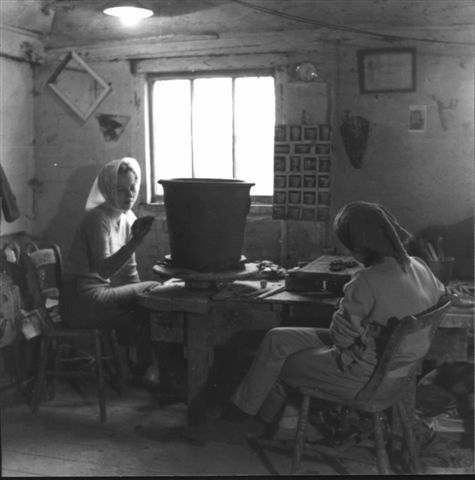 There is a second Trust involved with the site, the Farnham Pottery Trust They would like to see the pottery functioning as a working pottery with an educational function. 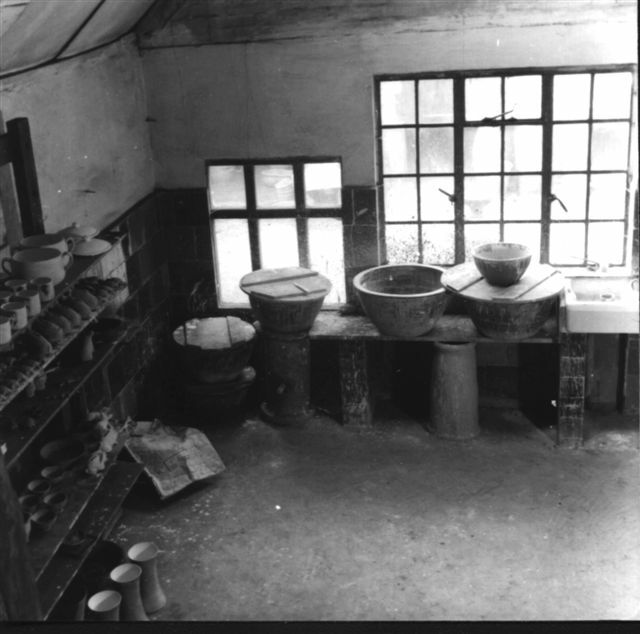 Currently part of the pottery site is used for adult education in ceramics (not the traditional products of the site) whilst other parts are used as a retail outlet/farm shop. 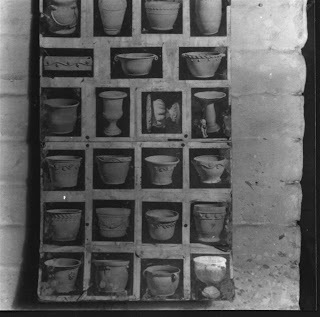 There is clearly still demand for the architectural and horticultural work that the pottery used to produce. 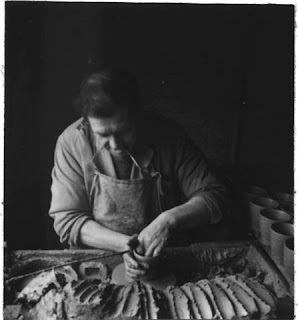 Mick Pinner worked at the pottery untill it closed in 2000 and now makes similar work at the nearby West Meon Pottery. specialising in restorative architectural ceramics using traditional methods. 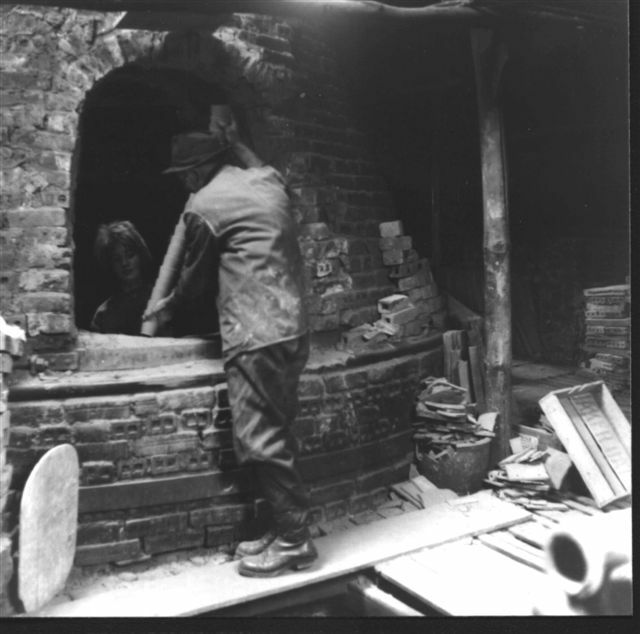 One of his main issues is lack of available skilled workers to assist him. 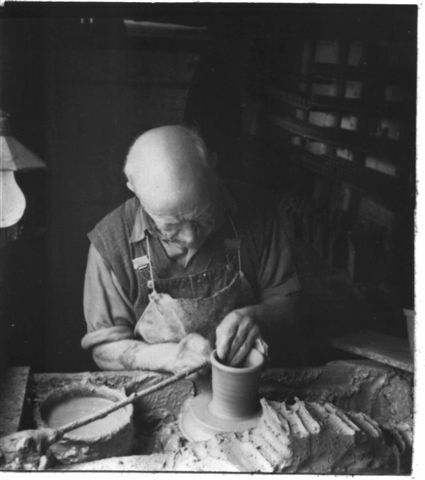 He is also passionate about the history of Farnham Pottery and ensuring it's sustainable future in the local economy. Mick developing a short course which focuses on ceramics produced by Farnham Pottery which are unique to production there to include finials, decorative pieces, chimney pots etc. 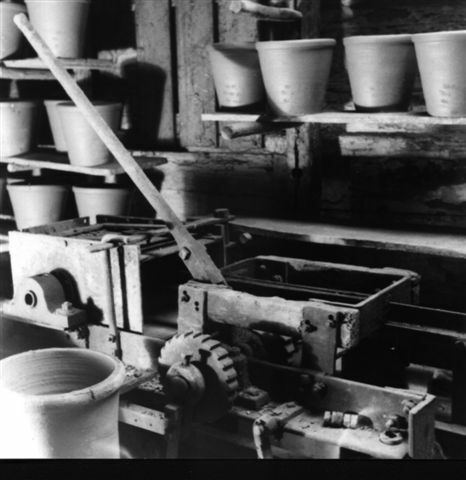 Original press mouldings are retained at the pottery. These can be reproduced and a course designed around using the moulds. A skill which in the next few decades will surely disappear from our heritage for good. Skills based training. 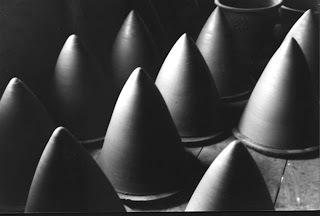 Trying to establish skills based training which has been slowly removed from current curriculum. Provide a specialist centre for skills based ceramic learning to preserve the art of making. Exhibition/Display/Demo space - An exhibition, tour of locality and demonstrations of heritage production techniques." 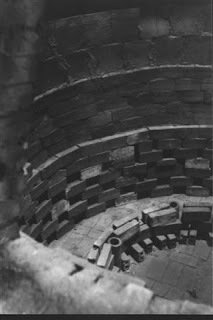 It seems a shame that the living cultural heritage of the pottery was not recognised in 2000, only the value of the buildings fabric. 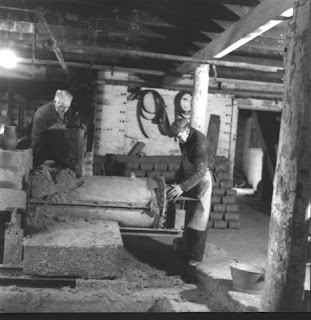 We see this again and again see Portland Works, Standard Quay, JW Evans and to see the benefit of valuing cultural heritage see Honister slate mine. It seems ironic that Farnham Pottery is in in the consituency of Jermy Hunt the culture secretary. 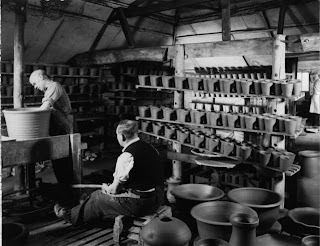 Lets finish with some lovely old pics of the pottery from the 1960s. 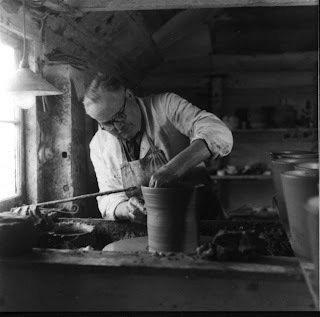 I really like this method of using a stick poked into a pile of clay to show where the rim of the pot will come to, a very simple but fast way of achieving consistency. 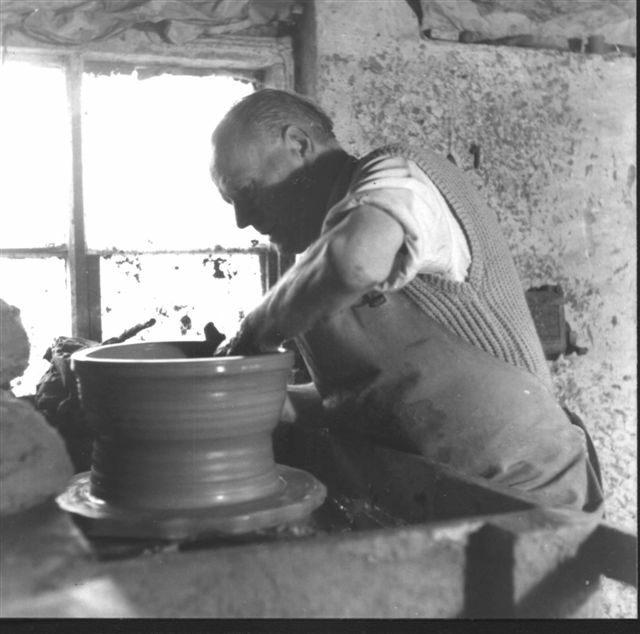 I used to watch Roly Curtis at the very similar Littlethorp Potteries near Ripon doing just the same.